Gorgeous 6 BR / 5 BA + 2 HB, 4 sided brick custom home offers your own secluded resort in the backyard complete with self-cleaning pool. 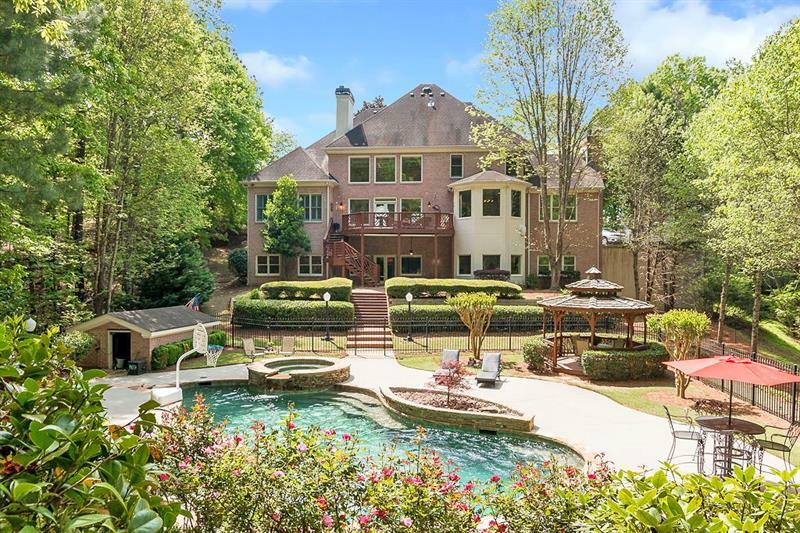 Sitting on an acre lot this is truly an entertainer's dream house! Stunning refinished hardwoods, fresh paint, and spacious renovated kitchen w/ wine bar, subzero, gas cooktop. Oversized master on main with updated bath complete with quartz counters, heated floors, constant hot water in shower & soaking tub! Oversized bedrooms upstairs w/ trey ceilings & ensuite baths! Fabulous finished terrace. Professionally landscaped pool & spa! A representative from Metro Brokers has received your request to visit 8696 River Bluff Lane on at .